Pineapple upside-down cake? So five minutes ago. 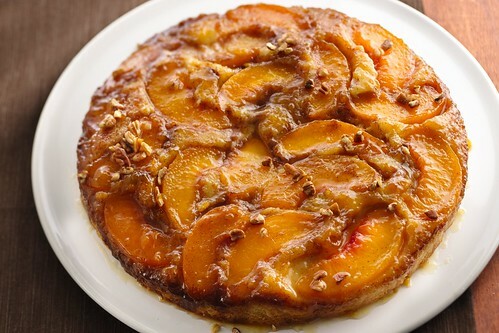 All the cool kids are eating peach upside down cake, all the better if it's caramelized. This sweet treat was dreamed up by Brenda Watts of Gaffney, SC, who says "Bake up a new sweet peachy coffee cake delight using Pillsbury sugar cookie dough." If she bakes it, I will come!